Trevor Nunn discovered Michael Xavier’s knack for performing Shakespeare through musical theatre. It happened when the director was working with Xavier on the workshop for a new Stephen Schwartz musical in Vienna this year, and – although Xavier didn’t know it at the time – it ended up being an informal audition for Nunn’s latest production, The Wars of the Roses. This is because part of the new Schwartz show, Emanuel and Eleonore, about the librettist Emanuel Schikaneder, included extracts of Shakespeare. And when Xavier was performing them as part of the musical’s workshop, Nunn realised there was something there that had not yet been tapped. When the email came through, Xavier was recovering from tonsillitis. When we meet on a wet Wednesday afternoon in a south London youth club-turned-rehearsal space, Xavier has been working for eight hours solid. He and the cast are seven weeks into a nine-week rehearsal period – three weeks for each play in The Wars of the Roses trilogy. 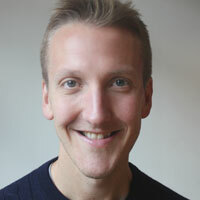 He’s clearly tired, but he’s also enthusiastic and embracing his new role in Nunn’s production, which is only the actor’s second straight professional piece of theatre since graduating from an acting course at Manchester Metropolitan University in 1999. 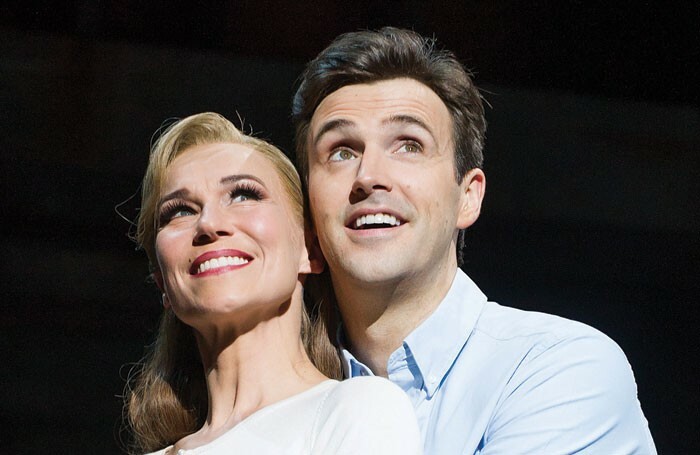 Since then Xavier has become best known for his leading roles in West End musicals such as The Phantom of the Opera, The Pajama Game and Love Story. But the world of straight theatre is one he’s been keen to get to know better. And he’s learning from all the cast members in the production, which also features Joely Richardson, Robert Sheehan and Kare Conradi. Xavier plays three parts across the production, including George of Clarence in Edward IV and Suffolk in Henry VI, described by the actor as a “conniving little rat”. When the production comes to the stage, there will be days in the run when all three plays are performed back to back. Xavier admits that starting a three-play day at 11am will be “insane”. Critics will be among those watching one of the first days to feature all three plays. Xavier is prepared for the opening night (or day) nerves he’s bound to get, but admits that he takes issue with the notion of press nights on the whole. He adds: “Press nights are never a good reflection anyway. The cast are over-energised and overly front-footed and you never get a sense of the proper show.” He also admits that he would rather not know which particular critics are in watching and reviewing. “If you know [a critic’s in], or worse, catch the eye of someone you know, it’s the worst thing. If you are conscious at any point in those two hours that someone is watching your every move, then you are not concentrating on what you’re doing and you’re not in it,” he says. 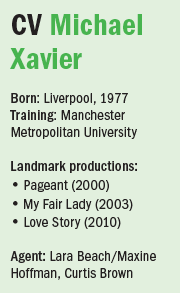 Xavier has experienced many press nights since leaving Manchester 16 years ago. He adds: “It worked, remarkably. But I don’t suggest anyone does that.” After a brief stint singing in hotels, Xavier landed a role in a fringe production of the Bill Russell musical Pageant, which later transferred to the West End. He had hoped to secure himself an agent on the back of the show, but as he played a woman in it, he found none of them were keen to sign him up. He attended an open call for Miss Saigon, and got a part. Other musicals followed, with Xavier going on to appear in shows such as My Fair Lady, also directed by Nunn, and Mamma Mia!. He never set out to be in musical theatre, he says, and he describes his singing as natural – he has never had lessons. He has always sung, however, including with a youth theatre group, Scamps, in Alderley Edge, near his family home in Cheshire. He moved to the county aged 12, having been born and bred in Liverpool. It was a defining time for him. As well as being grateful to the school he went to, Xavier is equally thankful that Nunn saw him as more than just a musical theatre performer. 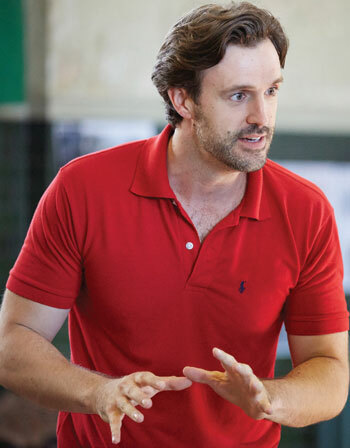 “Trevor understands both genres – plays and musicals. A lot of directors have not directed a musical before, so they don’t understand how difficult it is. 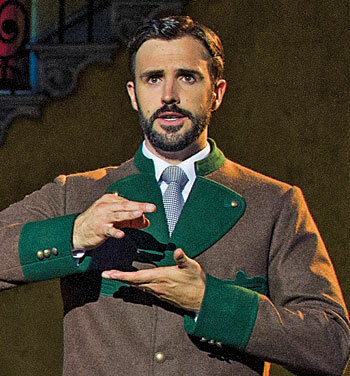 I always say that musicals are the hardest to do,” he says. Xavier adds that there remains a “stigma” around musical theatre, claiming that it may stem from people seeing musicals where the lead who has been cast may have been a “fantastic singer but not necessarily the strongest actor”. “It used to be hard to find great singers who were also great actors, but not now. Now we have people who can do it all,” he says. Controversy aside, Xavier is preparing for a run taking him through to the end of October. Shortly afterwards he begins rehearsals for Show Boat in Sheffield. It will bring him back to musicals, but he’s keen to continue working in plays, and hopes his stint in The Wars of the Roses will lead to a wider variety of projects.